“Where’s my mother? Where’s my mother?” cried Rana Ahmed as she rushed through Enam Medical College and Hospital. Mosammat Khurshida wailed as she looked for her husband. “He came to work in the morning. I can’t find him,” she said. “I don’t know where he is. He does not pick up his phone. An arm jutted out of one section of the rubble. The lifeless body of a woman covered in dust could be seen in another. From the Seattle Free Press. 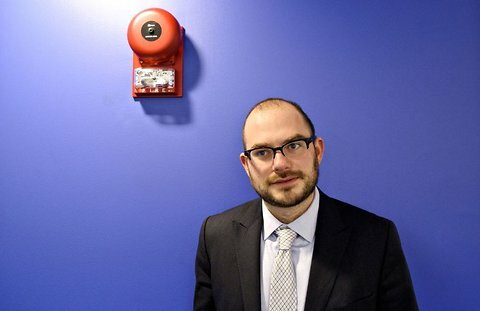 “The reason is that while having a safe job is good, money is also good,” Yglesias explains. In Yglesias’ view, workers choose whether or not to work in dangerous industries, and in return, they are paid higher wages to compensate them for the risks they are taking. In the U.S. fishing industry, for example, the mean hourly wage of $17.98 is apparently the trade off for potentially being crushed to death by a crab pot, thrown into the sub-zero ocean in the dead of night, or being impaled on a hook as its being cast out to sea. In Bangladesh, on the other hand, the average garment worker earns around $63 every month. But, reasons Yglesias, “Bangladesh is a lot poorer than the United States,” so “there are very good reasons for Bangladeshi people to make different [saftey] choices” than American workers. His conclusion? The safety rules we have in the United States (where thousands of workers still die in accidents every year) would “unnecessarily immiserate” much poorer Bangladesh. Costly safety standards – like not having to enter a factory with massive cracks running through its foundation – would raise the costs of doing business in their countries, and foreign investors such as The Children’s Place, Dress Barn, and Primark (whom at one point had all produced clothes in the now collapsed factory) would be forced to move their business elsewhere. The piece is a convenient apology for employers: workers benefit from the wages we pay, and at the end of the day its their choice to work in our factories. For labor, Yglasis’ piece paints a picture of hopelessness and defeat: there’s no point in struggling against the dangerous conditions you face – it will only lead to layoffs. But the fact of the matter is that there is nothing “appropriate” about the safety standards in Bangladesh – nor the safety standards in the “risk-averse United States.” Murder is murder – forcing your workers to enter a factory known to be unsafe is no exception, and no amount of GDP growth is going to change that.